Can a dog play baseball? 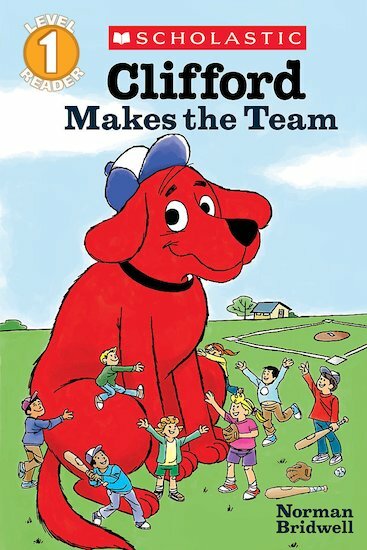 Clifford would love to have a go. Trouble is, there’s no bat large enough for a Big Red Dog like him. But the kids really want to include Clifford in their game, so they go on the hunt for the perfect bat. A tree, a utility pole, a pipe… Hmm. Nothing is quite right. Can they still find a way to play? You bet! Builds children’s confidence in reading – and in life! 250L Lexiles are the global standard in reading assessment. They are unique as they are able to measure a child and a book on the same scale – ensuring the right book gets to the right child at the right time.